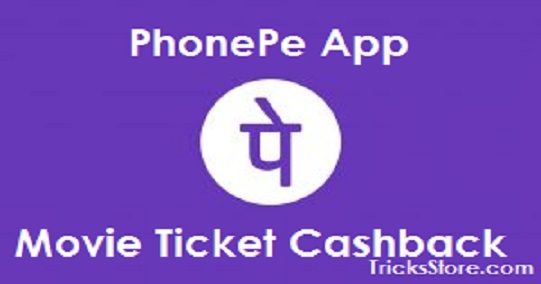 PhonePe Movie Cashback Offers, PhonePe Movie Ticket Booking Offers, Cinepolis Offer, PVR Movie Ticket Offer, TicketNew Movie Offer – Hello guys, As like paytm movie cashback offers, PhonePe App is giving cashback on movie ticket booking. PhonePe is one of the best UPI payments app to recharges, money transfers & online bill payments. Offers on phonepe, you can use phone pe to all online payment related issues. And also gives you cashback on every transaction and recharge. PhonePe App Cashback Offer/Code – PhonePe is giving cashback on online movie ticket booking with various online movie ticket booking websites and apps. is also giving Cashback on Movie Bookings. They are giving Cashback on Movie Theatres ticket in PVR, CinePolis, ticketnew and more. When you use PhonePe for Other Sites to book Movie Tickets. For this, you don’t need any Phonepe Movie Promo code it means you will Directly get cashback when you use PhonePe payment option on Movie Bookings. This Post contains all the best cashback offers on phonepe movie ticket booking. – You will get 30% Cashback up to Rs 75 on 1st ever transaction via PhonePe (UPI, Cards) on TicketNew platform.- Offer valid from 1st April 2018 to 31st May 2018. – Payment to be made through UPI, Debit Card or Credit Card, within the “PhonePe” option on TicketNew checkout to get maximum phonepe cashback. You will Get 50% Cashback up to Rs.75 on PVR movie ticket bookings. You can avail this offer from the Official PVR website or app with PhonePe payment option. – The offer is Valid From 1st April to 31st May 2018. – This PVR cashback offer will be applicable to any purchases made on the PVR web platform(s). – You will get Maximum cashback up to Rs 75. – Offer applicable when you made Payment through UPI, Debit Card or Credit Card within the “PhonePe” option during PVR checkout. – Cashback is valid for 1 transaction/ user using PhonePe during the offer period. – You will get 50% Cashback up to Rs.125. – The Offer is valid from 15th May to 14th July. – You have to Book from the theatre itself. – You will get 30% Cashback up to Rs 100 on the first-ever PhonePe transaction on Justickets platform. – Payment to be made through UPI, Debit Card or Credit Card within the “PhonePe” option on Justickets checkout. – Maximum cashback up to Rs 100. – Cashback can be used for recharges, bill payments and payments on PhonePe partner platforms/stores.